If you've ever shared a book with a child, you know the joy and excitement this small but meaningful act can bring. But, according to the National Center for Education Statistics, since 1993 only 53 to 58 percent of children ages three to five received this joy on a daily basis. Children who are read to at home have a higher success rate in school. Children who read frequently develop stronger reading skills. To get kids excited about reading and encourage more adults to spend time reading with their children, the National Education Association (NEA) launched the first NEA's Read Across America day in 1998. On March 2, 2016, NEA's Read Across America will mark seventeen years of celebrating reading and the birthday of Dr. Seuss. 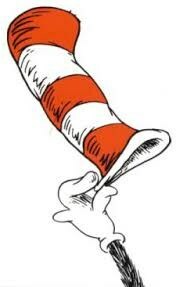 So from coast to coast, teachers, celebrities, community members, and parents are putting aside the many hats they wear for work and play and donning their reading hats, the red and white striped stovepipe hat of the Cat in the Hat. Here in Delhi, we are joining in the celebration. In bringing a nation of readers together under one hat, NEA's Read Across America offers opportunities for you to volunteer, to read, and to share your life experiences; opportunities for businesses to contribute products to congratulate young readers and for employees to volunteer time at reading programs; and opportunities for our elected officials, from the national to the state and local levels, to make reading a high priority. Let's all join together on February 27th - March 3, to ensure that Delhi's children have caring adults to share books and rich reading experiences.